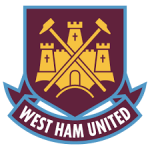 The Hawthorns welcomes high-flying West Ham United to the Hawthorns this weekend, with both sides on a league unbeaten run, although Albion’s one-match unbeaten run pales into insignificance against the Hammers’ stretch of nine Premier League games without defeat. However, only four of those games have resulted in maximum points and a run of four consecutive league draws saw the East Londoners’ hopes of a Champions League spot fade away. They are now in sixth spot, eight points away from fourth, but with Liverpool and Southampton close below them, the fight for Europa League qualification is on, assuming it is considered desirable, of course. This season, there is even a possibility that eighth place could be good enough for the a spot in Europe should Man Utd win the FA Cup and Liverpool win the Europa League. The Red Devils, of course, ended the possibility of the Irons finishing their last season at the Boleyn Ground with a trophy, but at the start of the season, finishing the season still in the Premier League would have been acceptable so by any measure, this season has been successful for West Ham. Slaven Bilić has proved to be an inspired choice of manager by Gold and Sullivan, evidently helped by the inspired signing of Dimitri Payet, although, after having had more assists than anyone else bar Lionel Messi in the top European leagues last season, it didn’t take too much of a leap of faith. Payet’s signing was just one example of the West Ham board preparing to invest in the club last summer. Another example was Michael Antonio, the winger that the Hammers stole from under Albion’s noses last season as they were prepared to do what it took to complete the signing, whereas Jeremy Peace was not. Antonio may not have been a marquee signing, but some of his performances in the latter half of the season suggested that he would have been a useful option in the Baggies squad. Albion have lost just two of the last twelve meetings with West Ham, although it doesn’t seem as impressive when you add that they have won only three in that period, with seven of the games ending in a draw. That was the result in Albion’s last ever visit to Upton Park back in November when Zárate’s opening was cancelled out by an own goal from Winston Reid. The Baggies’ biggest ever win over West Ham came at the Hawthorns back in 1925 when a hat-trick from Stan Davies and a brace from Joe Carter helped the hosts to a 7-1 win in the Division One fixture. West Ham’s biggest win at the Hawthorns is 3-1 which they have achieved on two occasions firstly in 1926 and the more recently in a second division match in 1990 when Jimmy Quinn, Ian Bishop and former Baggies assistant manager, Kevin Keen, were on the scoresheet for the visitors. After three straight defeats, Albion finally managed to edge beyond the forty point mark on Monday with an unlikely draw at White Hart Lane. After being fortunate to go into the break just one goal down, the Baggies put in an impressive second half display and grabbed a deserved equaliser as Craig Dawson became the first Albion player to score for both sides in a Premier League fixture. It shows there is some fight left in the Albion team this season and, while 50 points may prove to be a step too far, a top half finish is not impossible although 11th looks to be the realistic best finish with Albion the lowest of three clubs on 41 points. Ben Foster and Saido Berahino both missed the match at Spurs with ankle injuries although both return on Saturday. Brunt and Morrison remain sidelined while Alex Pritchard is also doubtful. Youngsters Jonathan Leko and Tyler Roberts could both be in the squad. West Ham boast a fully-fit squad so we could see Jonas Olsson and Andy Carroll resume their battle from previous encounters. This should be a tight encounter should Albion show what they can do, and true to form of recent fixutres between the sides, I think it will finish all square.